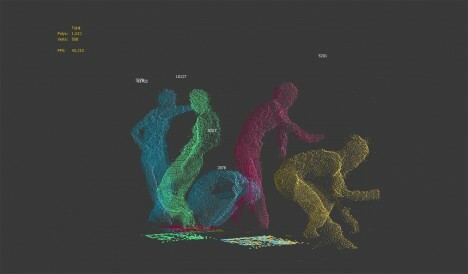 The graceful movements of a professional dancer are rendered as a cloud of flickering metallic dots using inexpensive Xbox Kinect sensors and 3D tools. 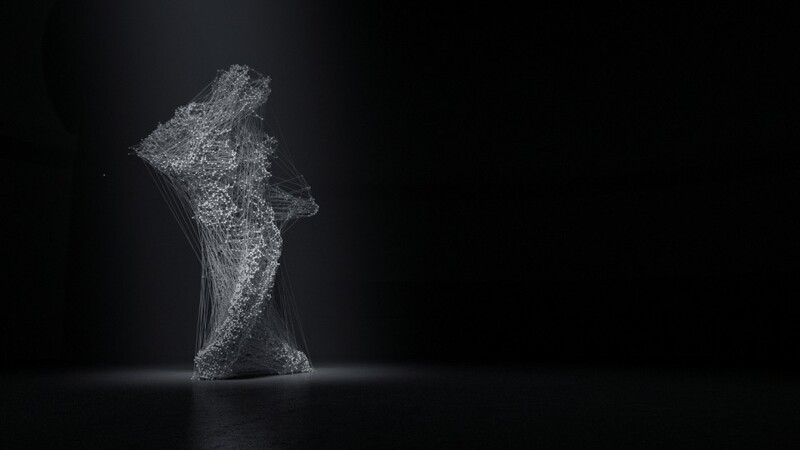 Constantly shifting and changing even as the dancer stands still, the data points create a ghostly impression against a black backdrop, seeming to embody motion itself. 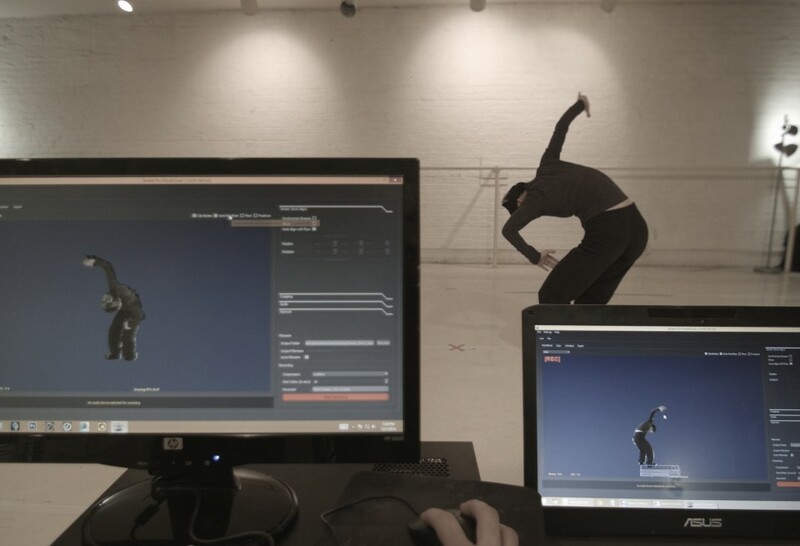 Asphyxia is a collaborative experimental film project by Maria Takeuchi and Federico Phillips, performed by Shiho Tanaka, combining various technologies to stress “the desire to be expressive without limits.” The sensors scanned data points on Tanaka’s body, which were then combined and used as the basis for the creative development of the film. 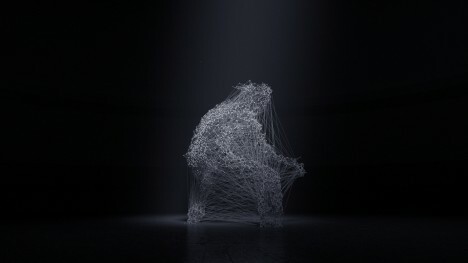 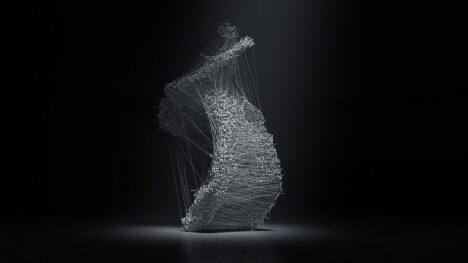 The filmmakers rendered the data into this hauntingly abstract form, placing it in a photorealistic environment to add to the eerie quality of the finished product. 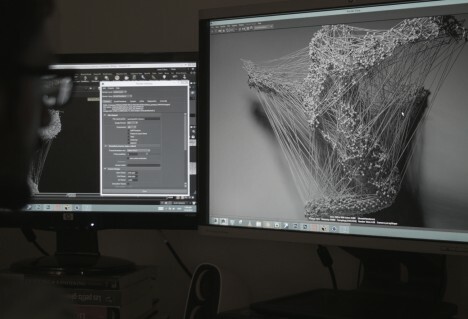 Check out the behind-the-scenes process above to learn more about how it was made.